The corporate objective of Uranium King is to achieve recognition as a premier uranium mining company through the successful exploration and development of its existing projects at Rio Puerco, Apex-Lowboy and Church Rock, as well as new prospects or resources that may be acquired. The utilisation of the collective experience of the Board and management team to advance Uranium King’s existing resource base through to production and cash flow. 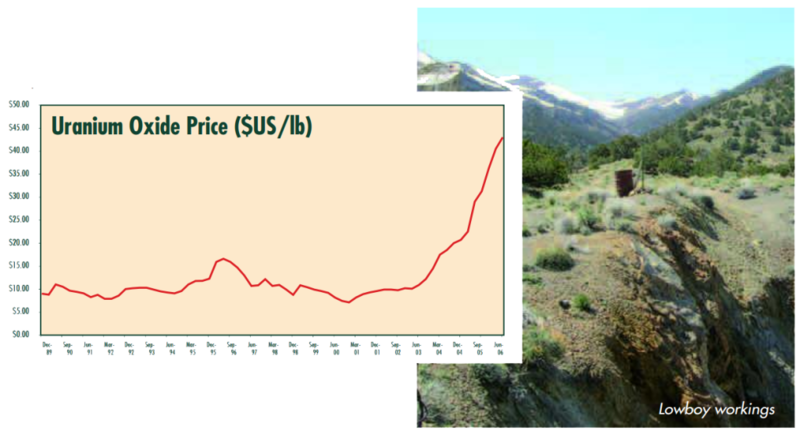 In addition to the existing projects, Uranium King has an extensive data base of information covering potential projects throughout the uranium belt regions within Wyoming, Nevada and New Mexico that are considered to be highly prospective for uranium mineralisation, yet generally under-explored.